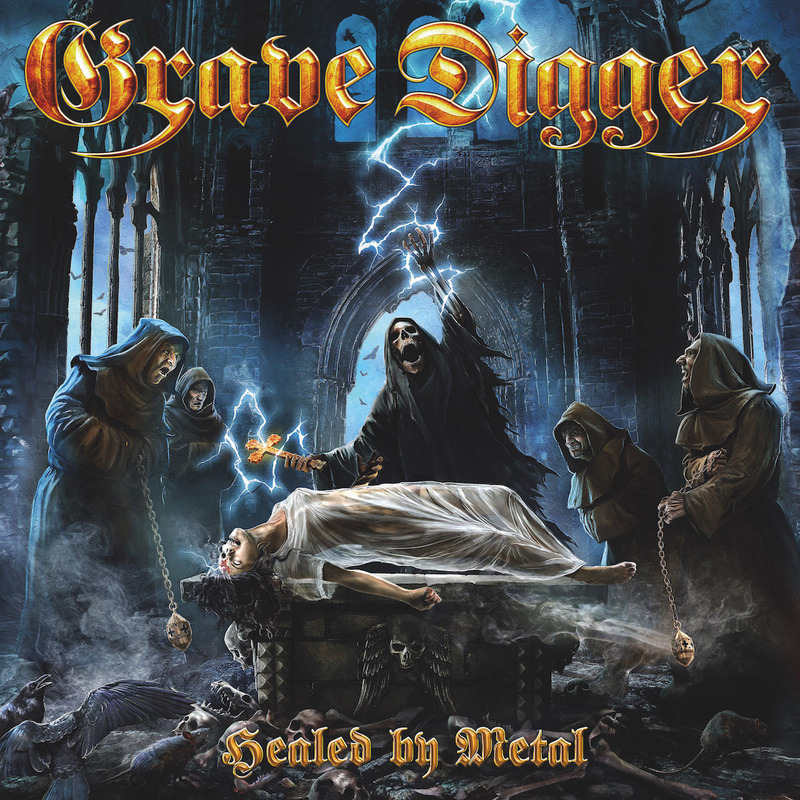 German old-school metal band Grave Digger have been in existence since 1980, but 35 years and 17 albums later, they finally did their first North American tour as support act to their fellow Germans in Blind Guardian, and gave their legion of fans in this content a taste of what they’re like as a live band. 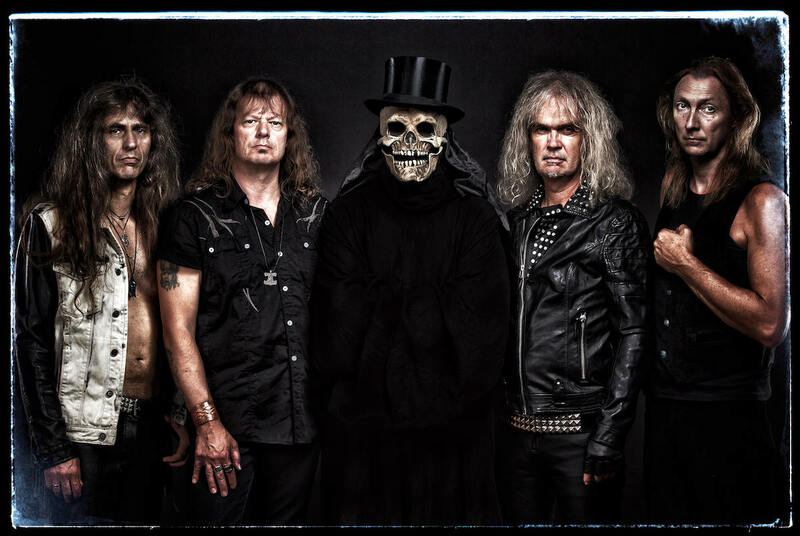 Amidst their two highly successful North American runs as well as tours worldwide, Grave Digger also completed their 18th full-length studio album ‘Healed By Metal’, releasing today, January 13th 2017 via Napalm Records. Metal Assault recently spoke to vocalist Chris Boltendahl, to discuss the new album and lots more. Delve into the conversation below and get healed by metal! Chris, it’s good to have you on Metal Assault. I’ve been following Grave Digger for a number of years and it’s great to finally talk to you. Recently, you’ve been doing a lot of touring in North America supporting Blind Guardian. For a lot of people attending those shows, it was also an introduction to your band. How has the journey been for you? It was one of the best experiences in the career of Grave Digger! We never believed that we would have the opportunity to play in the States for so many shows, you know. It had been a long time since we last visited here. We did a couple of shows in 2004 I think and then one in 2008, and we never thought it will happen again. So, when Blind Guardian came around the corner and said, “Hey boys, you want to tour with us in the States?” And not just once, but they asked us for both tours. We said, wow, cool! We really enjoyed the whole experience. That’s great, man. You said there was a long gap since you last played in the States. What was the reason for it? I think for us it’s not so easy to tour the States because it’s such a big country, and it costs some money! We are not a band that goes over and pays to play. We must get a proper offer where we can pay our costs. So yeah, there was a lack of opportunity all those years but it finally came with Blind Guardian and we were the first to say yes (laughs). You’re coming out with a new album ‘Healed By Metal’ on January 13th. This is your first album since 2014, and during this period you have done a lot of touring. What was the process like, to write this album alongside all this activity that you had? The whole idea of the album came when we played a big show in Moscow in 2014, and beside the concert venue is a big hospital. After so many hours of heavy metal, I stood there by the stage with my tour manager and said, all these people must be really tired after ten hours of metal and such loud music.” He looked at me and said, “Hey Chris, see it from the other side. All these people are now healed by metal” (laughs) That made such an impression on me that I started working on a new record. I got a lot of ideas, and yeah, it was amazing! That’s an interesting story. Were you working on these songs mainly by yourself? How much is the rest of the band involved? We actually did something like we did in 1996, when we recorded the ‘Tunes Of War’ album. We all met in the rehearsal room for 7 days and we wrote this complete album together. We all brought out ideas, I prepared my lyrics, the other guys prepared some riffs and everything, and we put it all together. It was like a meditation for 7 days, a metal meditation, and yeah, we came out with the songs for ‘Healed By Metal’! That kind of thing doesn’t really happen anymore, where the entire band gets together to write an album, specially in such a short time. Yes absolutely, and to make it happen, it’s important that everybody is well-prepared for such a songwriting session. If you start working all this stuff out in these 7 days, then it’ll end up taking much more time. But if everybody is prepared and then we work out the ideas, it makes things that much more faster! Where do you think this album stands in comparison to the rest of your career? Do you think it’s a continuation of what you were doing recently, or more like a throwback to an earlier vibe? I think this album has a really classical metal vibe, and it’s timeless. That is the most important thing. If you write music by yourself, the target is that it’s timeless and people can listen to it in 5, 10 or 20 years and still love it. That was also the case with the ‘Tunes Of War’ album, for example. You must feel that you’re writing something timeless. For me, this new album is a good follow-up to the previous one, ‘Return of the Reaper’, and of course the people will decide whether it’s timeless. I have to talk to you in ten years, and if you say, “Oh, I listen to Healed By Metal 2 or 3 times a month!” It’ll be great if you say that, and then it will be a timeless metal album (laughs). Exactly! So, there’s a lot of younger bands doing the classic metal thing nowadays, and thanks to them as well as longstanding bands like yours, this style of music is still prominent, even though not as much as it was in the ’80s. You can probably tell by the number of people coming out to the shows on the Blind Guardian tour. Would you say that your genre is still relevant in that sense, and not as underground as some people might think? A couple of years ago we wrote a hymn for Wacken Open Air. We called it ‘Metal Will Never Die’, and I think that is the most important sentence. Heavy metal was always there since the mid-70s, starting with Black Sabbath and going onto Iron Maiden, Accept, Scorpions and all these bands. I think it’s in a wave form. Sometimes it’s more in the underground, other times it’s coming up really great. But metal is always there! Agreed. You said earlier that you have to feel it when you’re writing a timeless song. Grave Digger songs are known for really catchy chorus lyrics, very epic themes, and things like that. How difficult is it to write something like that, to create something timeless and so catchy that people will listen to it for a long time? Yeah, it’s not so easy to find, and you can’t plan it. But for example, the title song ‘Healed By Metal’ is something we will have in our set list till the end of our career. I definitely know that, because when we wrote this song, I felt it. There are other songs on the album that are really good, they fit very well with the classical direction of the album, but they won’t be timeless at the end of our career. But songs like ‘Free Forever’, ‘Lawbreaker’ and ‘Healed By Metal’ are timeless metal songs, and they will survive all these years till the end. I hope so! When you’re playing live, you want to present a lot of your new music but people expect the older stuff too. Is there any of your music that you’re tired of playing, or do you still enjoy everything that you play in the set these days? Songs like ‘Rebellion’ and ‘Heavy Metal Breakdown’ which are constantly in the set list because they are among our most popular songs, we don’t even rehearse anymore as we’ve been playing those for such a long time now. But when we’re up on stage playing a show and the set list arrives as ‘Heavy Metal Breakdown’, everyone in the band is like, “Oh No .. ” But as soon as we start it, we see the reaction of people who are absolutely loving it! That is the magic of these songs. Do you think you get energized by people’s reaction, specially when it comes to stuff that you’re just so used to playing that it doesn’t excite you by itself anymore? For sure! The reaction of the fans is our blood. We cannot live without that. We are artists and our greatest gift is to go on stage and give people what they want. They paid for it, they paid to see a good, high-quality band, and that is what we like to give to the people. Finally, what plans do you have after the album release? In mid-January we start with a short rehearsal and then the first shows in Germany, Austria and Switzerland. In between the shows, we also go over to the 70000 Tons Of Metal again, and then we carry on here in Europe. In March-April we go back to South America, before we start with the festival season in Europe. We’ll see what happens after that, and may be in 2018 Grave Digger will be back in the States! If you like what you’ve read, make a donation of any amount and help keep Metal Assault running full time!